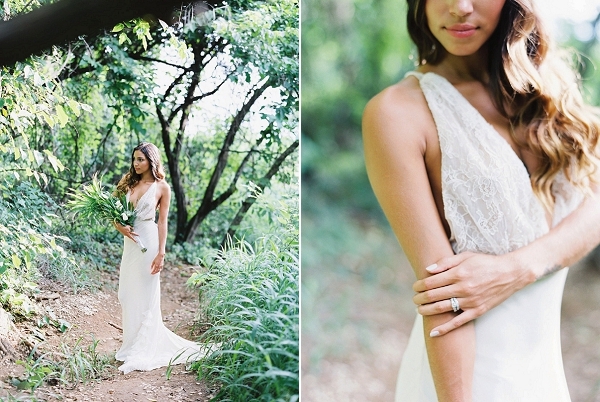 Prepare to be as completely mesmerized as we are with this tropical, bridal editorial from Natalie Jo Weddings! The Gossamer Vintage gown is breathtaking from every single angle and reflects the kind of effortless glamour that destination brides often seek. A simple, organic bouquet completes the look- a seamless fit for the natural settings around Costa Rica which is such a perfectly gorgeous location! 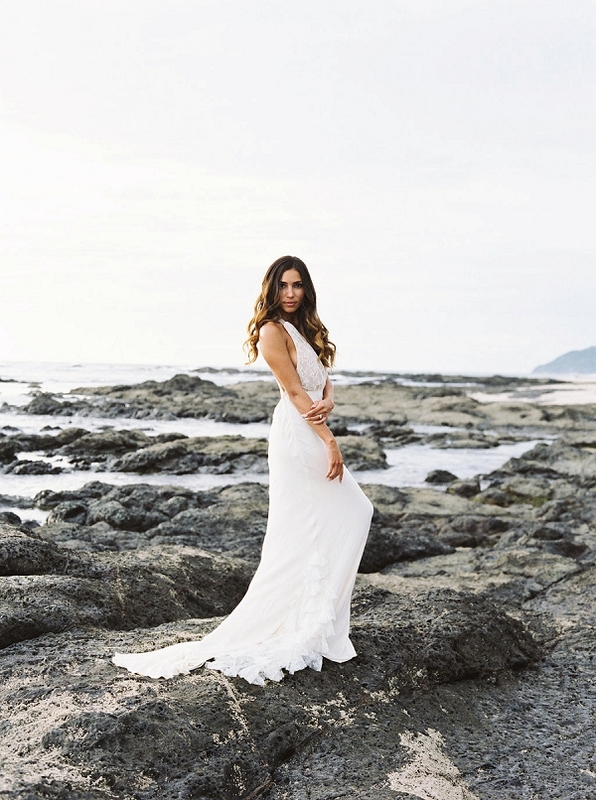 From Natalie Jo Weddings: I put this together within only a few weeks before my family trip to Tamarindo, Costa Rica. I found Luanna my model through a recommendation by Misty at Pura Vida Weddings. Being such short notice, I kept everything simple. With a beautiful model and dress, I went to a local floral shop to get a bouquet together that morning. Luanna grew up in Costa Rica and led me to some gorgeous spots off the Costa Rican coast which was a perfect backdrop for what I had envisioned.